Ukraine marches on into the history books with the plight of the people, and the fight of the state to suppress them. 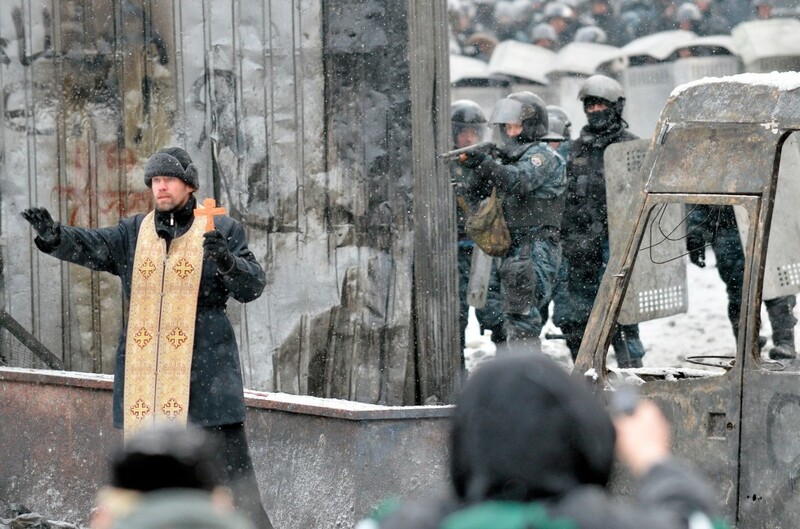 An orthodox priest stands between the people and the police. A video, `Insane` reporting from Kiev. It`s not in English, but I believe you will understand `sniper`, and all the body language. 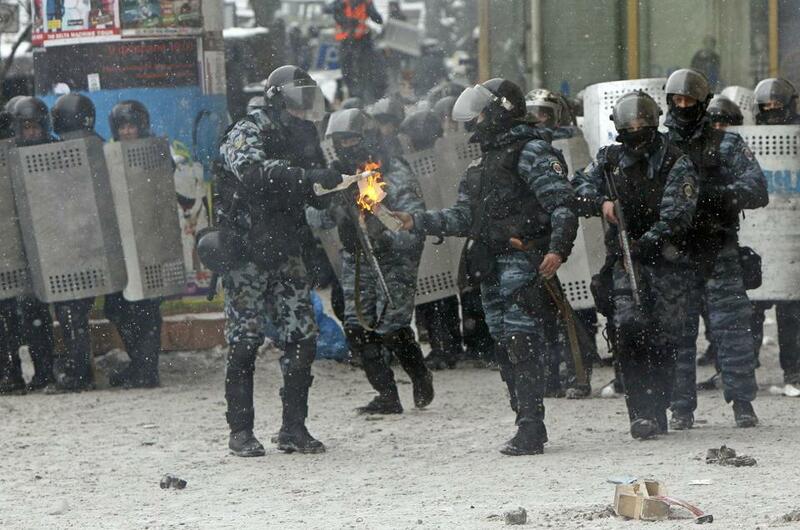 And a fairly incriminating photo of the police preparing molotov cocktails. Fighting fire with fire? A poor excuse IMO. A couple notes on the outrageous behaviour of the police above. And, in case you missed the LIVE link, here it is below. At the time of posting this, there is a wild tire fire occurring. If you have multiple screens available, why not just keep one running this continuously? It’s pretty amazing to watch. Moving on to a similar vein of warfare… financial warfare and the coming collapse. Here is an interview with Peter Schiff on the Joe Rogan Experience. And with regard to the constants of war… of conflict… of exploitation and economy, a video which defends the concrete constant of C, the speed of light. Anyway, have a great weekend. This entry was posted in 2014, Joe Rogan Experience, revolution, Ukraine, Uncategorized and tagged Bartłomiej Maślankiewicz, economic collapse, gold, joe rogan experience, Kiev Ukraine, Peter Schiff, Veritasium, Will This Go Faster Than Light?. Bookmark the permalink.